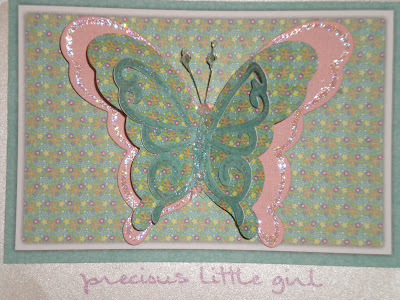 Today, the butterflies have emerged from their cocoons -- much as they did yesterday in the Thank You card posted. Here, I've made two slightly different cards for two friends whose Girl Babies are due shortly; each of these women is using "butterflies and flowers" as her theme for the baby's nursery. 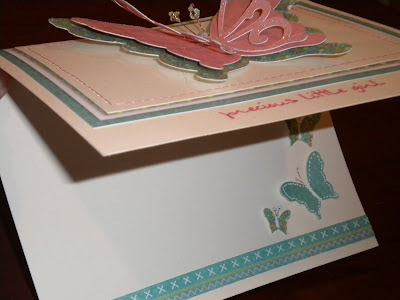 The Cricut Cartridge I used to cut these butterflies is still "Cake Basics" -- one of my favorite cartridges of all time because its basic shapes are multipurposed. The shapes cut neatly and completely, no thin edges that snag or tear when removing from the mat. To accomplish the layering, I cut the top butterfly from the main element (no shift or shadow), set at 2.5" Real Dial Size. For the second and third layers of the butterfly, I cut the image with "Base Shadow" button lit, at 3" and 3.5", respectively. Stickles ... I love Stickles! ... add shimmer to the top and third layers. Swarovski crystals on gold bead wire (hot glued in place) complete the antennae. The sentiment was printed on the front, using standard HP InkJet printer and a free font. Hot glue is great for adhering the antennae, but I will say that I tried using it to adhere the butterflies at the belly (so the wings fly up) and was disappointed. [Remember, 90% of the fault is with the operator of the equipment, not with the equipment itself.] I highly recommend using Scor-Tape instead. 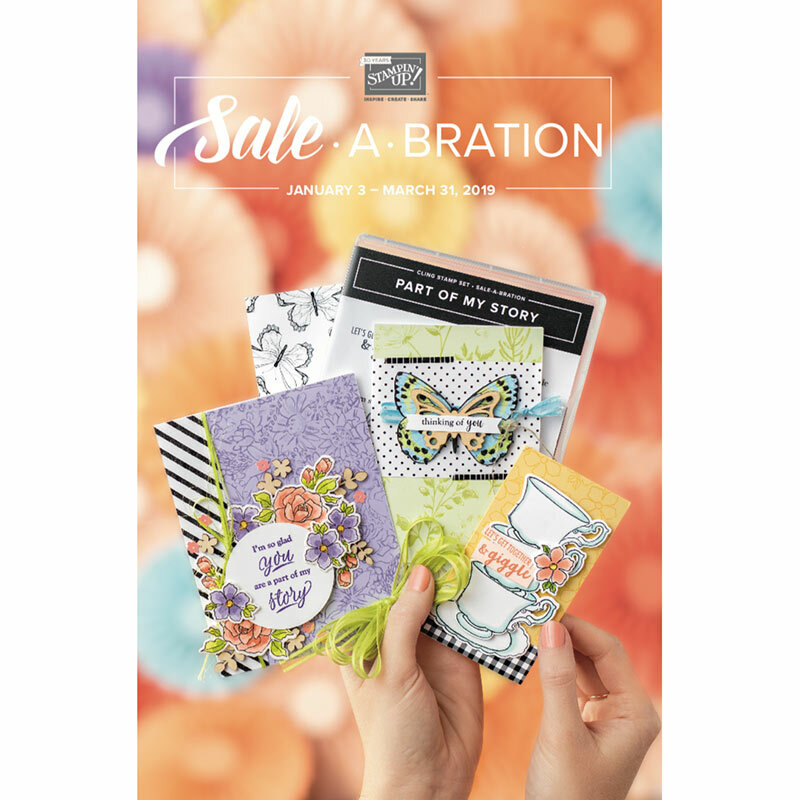 It is a permanent double-sided adhesive tape that holds images securely. Follow THIS LINK to be taken to the Scor-Pal site and tape sizes available. 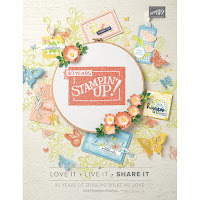 I have this tape in many widths and it is VERY easy to use and works beautifully. 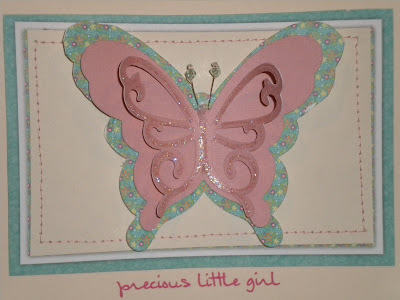 I finished these cards off with inside images, including the mini-butterflies cut from coordinating cardstock. I hope you have a butterfly-sort of day!